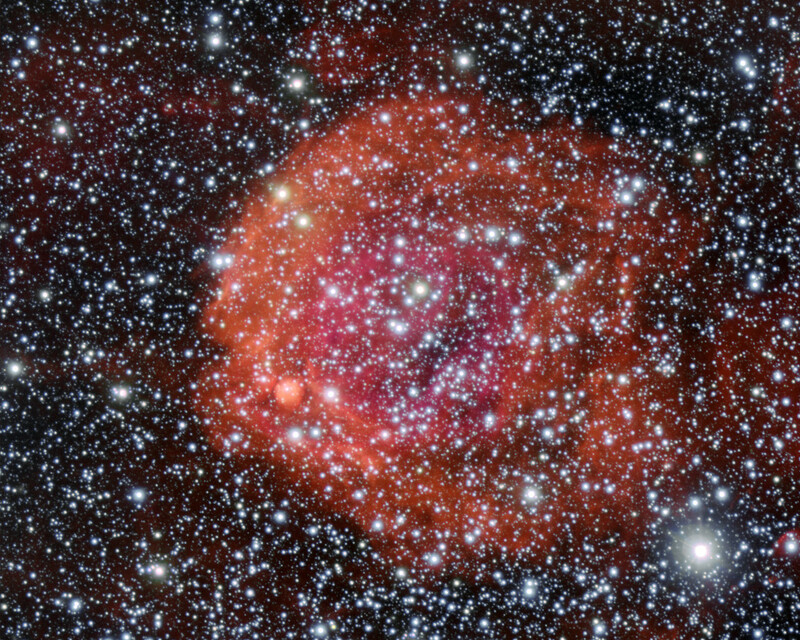 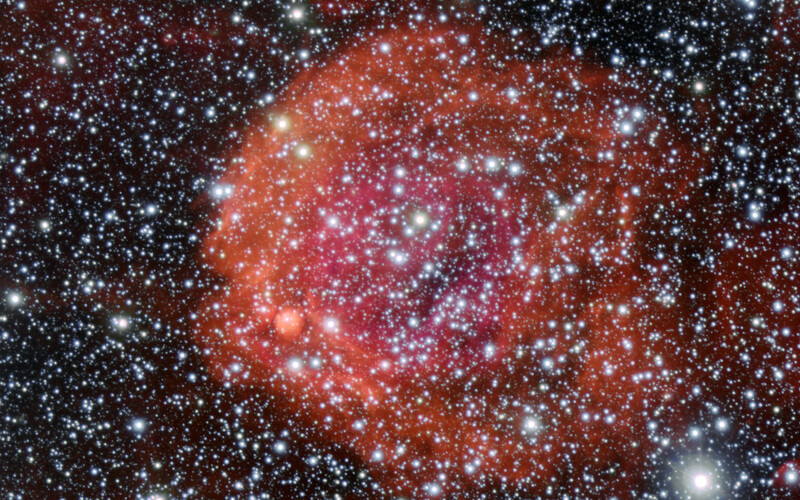 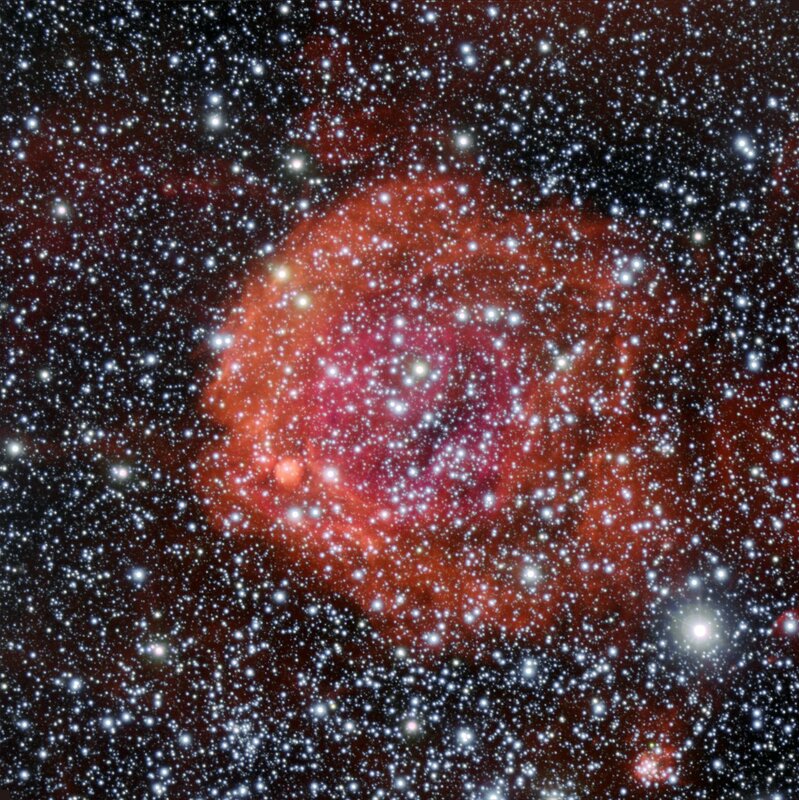 This picture of the star cluster and surrounding nebula NGC 371 was taken using the FORS1 instrument on ESO’s Very Large Telescope, at the Paranal Observatory in Chile. 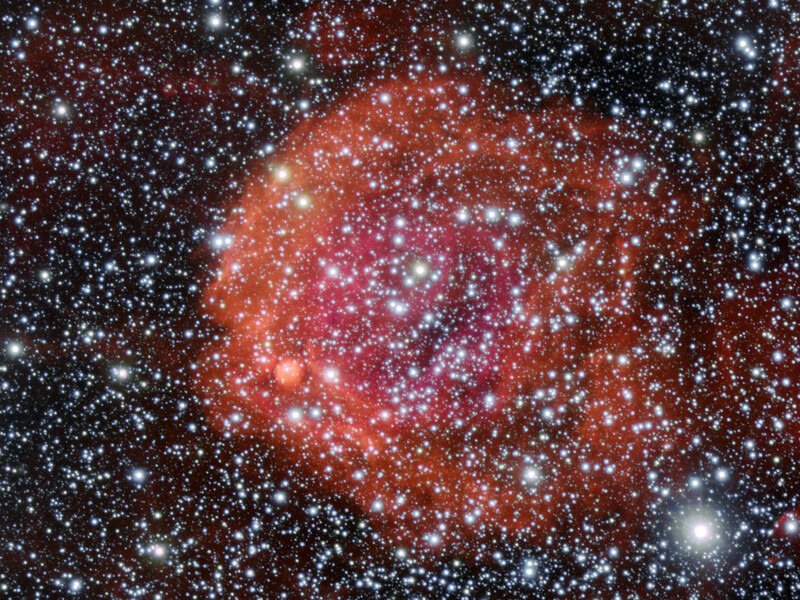 NGC 371 lies in the Small Magellanic Cloud, one of the closest galaxies to the Milky Way. Position (Dec): -72° 4' 22.55"